PowerShield is a combination of LiPo charger + 5V voltage booster + voltage monitor + prototype shield. The main function is to provide very efficient 5V boosted power from a compact battery, to those projects that have 1 or more components/sensors that require 5V and the battery/power source is less than 5V. It’s really important that your battery has the proper connector wiring before you hook it up to the PowerShield. There is no polarity protection on this board and so inverted polarity will fry the PowerShield booster! Below is a highlighted photo of what your connector should look like and how it should be wired. 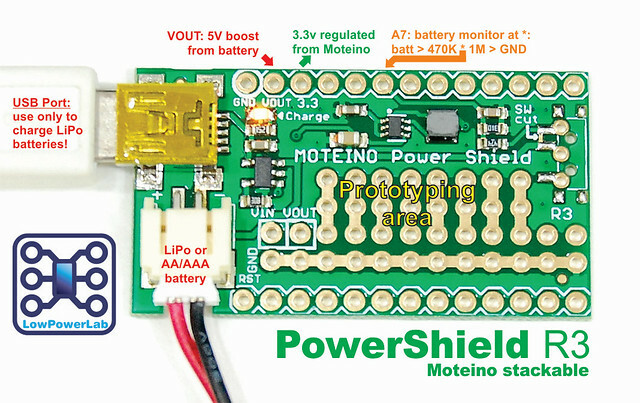 The PowerShield also is marked with + and – above and below to help avoid mistakes.The battery connector is standard JST 2.0mm pin spacing. 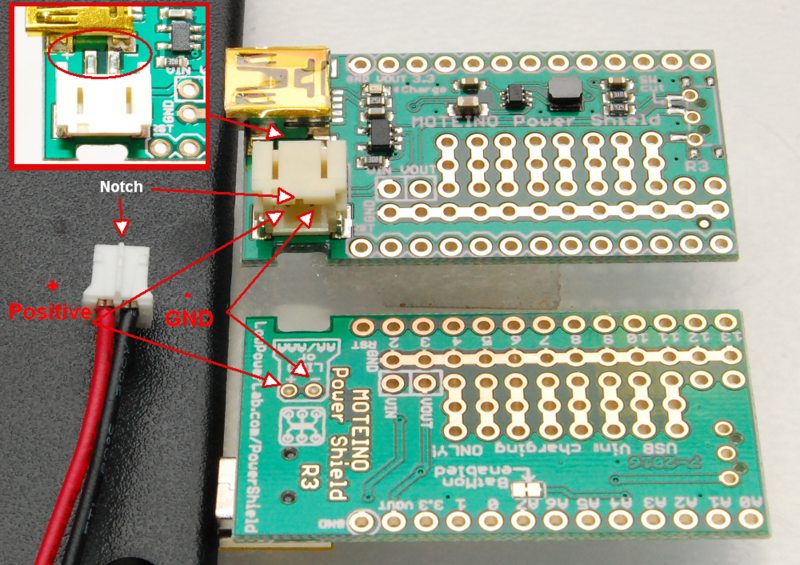 You can always directly solder the battery/pack to the battery connector pins/pinholes if you don’t have a matching connector.